Coolest Play Tents for Children! Coolest Play Tents for Kids! 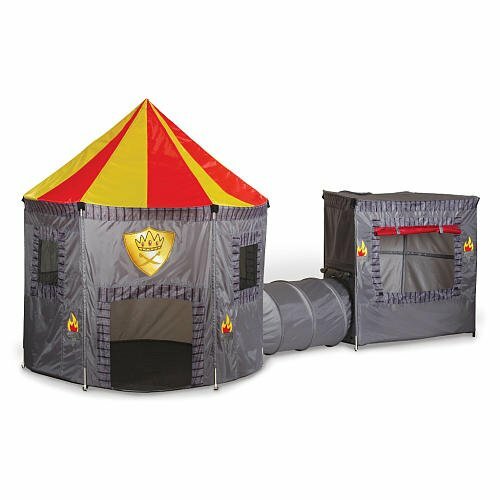 Are you looking for the best kids play tents for sale today? On this page you are going to find the best, most fun and cutest play tents for kids being sold! Kids absolutely love them and they always have a blast! I remember when my daughter was two years old she got a fun Looney Tunes play tent and she loved it so much that she would literally ‘live’ inside her cute play tent! On this page you will find cute play tents with tunnels, cute tee pee tents for kids, pop-up tents, ball pit tents and more! You can never go wrong by giving a small child a fun play tent! They make excellent birthday and Christmas gift ideas for the little ones and even some big kids too! Authentic Tee Pee Tent for Kids! 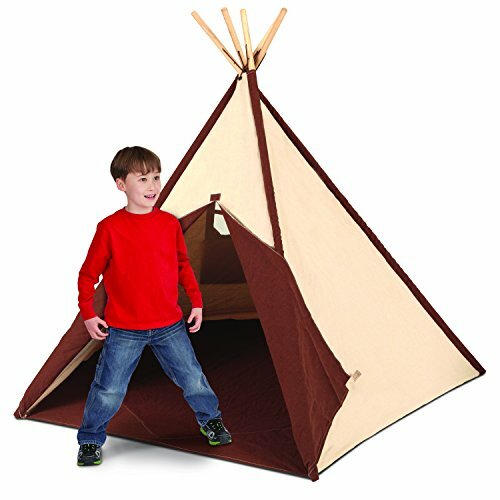 It is an authentic tee pee tent for kids made from 100% soft, durable cotton canvas! It is fun, spacious, sturdy and it fits about three kids ages 2 and 3 to about 8 years old playing inside! It is big enough to fit pillows, blankets and teddy bears inside! You can also wash the cover when it gets dirty! Tee pee play tents are among the coolest play tents for children being sold! They look adorable anywhere in the house, they are very easy to set up and kids absolutely LOVE having a ‘private’ space just for them! 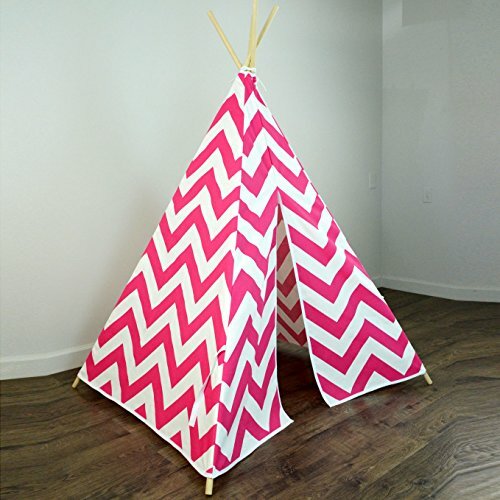 This is a very cool pink and white chevron design tee pee play tent for girls up to 10 years old! It is made of canvas and it is extremely durable! Is it a train station? Do I see a dinosaur? 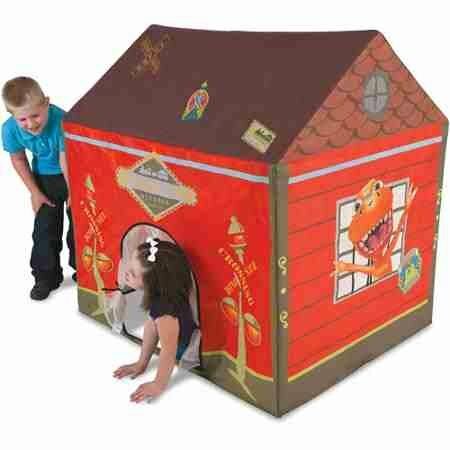 It is a fun Dinosaur Train Station House Play Tent! What a fun way for kids to spend a Sunday afternoon! Kids Mini Pop Up Play Tent in Fun Bus Design with Plastic Balls! 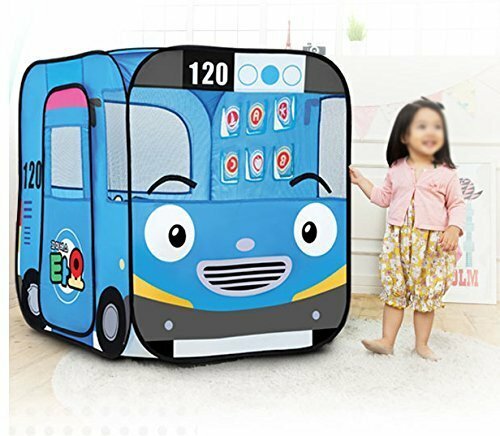 It is a fun pop up play tent for kids in a cool bus design! It comes with 100 colorful plastic balls to place inside!! It is perfect for 3 and 4 year old children! Kids Fun Camouflage Play Tent Set with Tunnel! 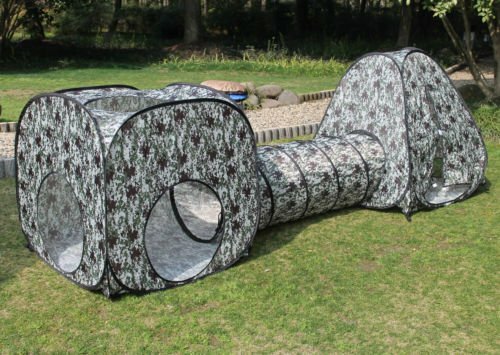 Just by looking at this awesome camo design play tent with tunnel for kids you can see it is so much fun!! First of all it is not only one play tent, but TWO tents joined together by a cool tunnel, which kids LOVE crawling through to reach the other side! 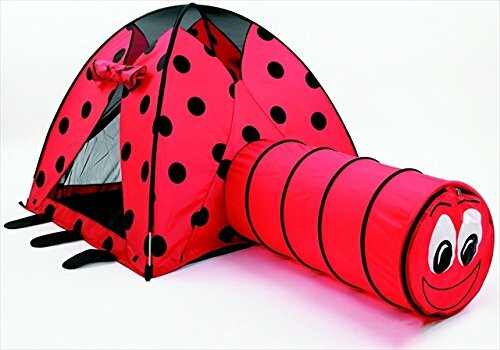 This ladybug tent with tunnel is one of the cutest play tents for girls being sold in my opinion! It is very spacious inside too and the tunnel just adds to the fun! You will always find your little girl inside her cute ladybug tent! We all know that most little girls dream of being princesses and having their very own castle! It is very cute, in green and pink colors and adorable flower design! Little girls love to stay inside reading and playing with their favorite dolls and teddy bears! 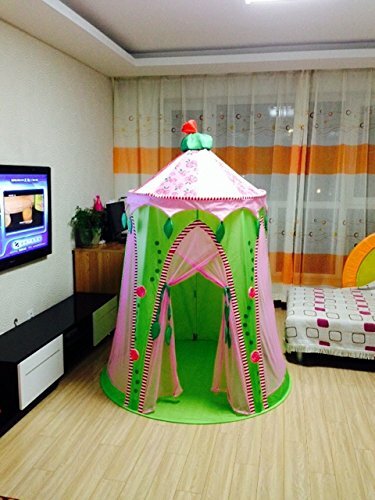 Her bedroom will also looks amazing after you place this cute castle tent inside! 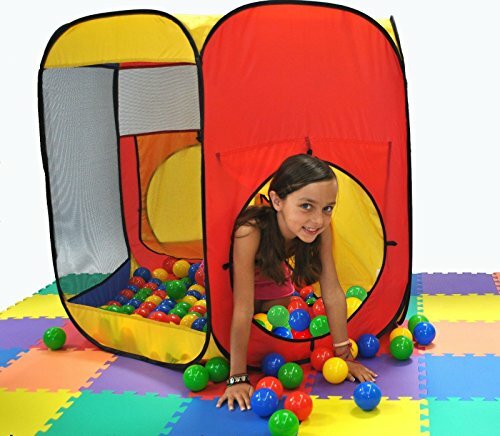 Very Cool Indoor Hexagon Kids Play Tent Ball Pit! This will be their favorite ‘hang out spot’ for a very long time! 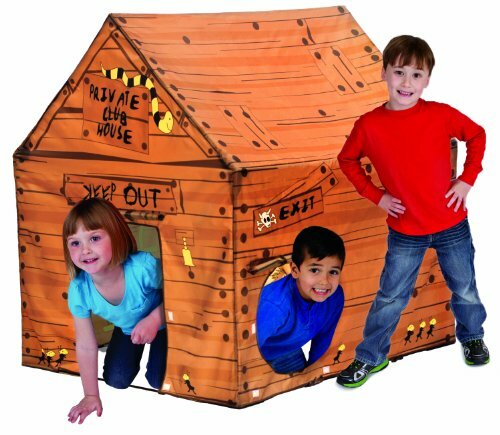 Affordable Club House Play Tent for Kids! As you can see it fits two to three kids inside! It is also very durable and very easy to set up anywhere you want! It keeps kids entertained for hours and hours! The best feature of all is the price! 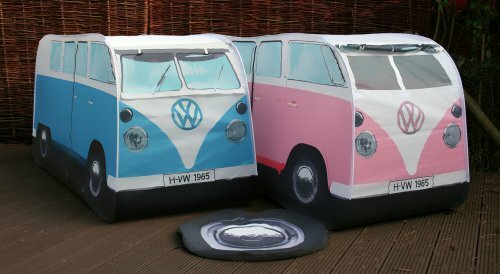 Cool Camper Van Pop Up Play Tent for Kids! It is a very cool camper van design pop up play tent for kids! You can get it in several fun colors, including blue, pink, yellow and red! 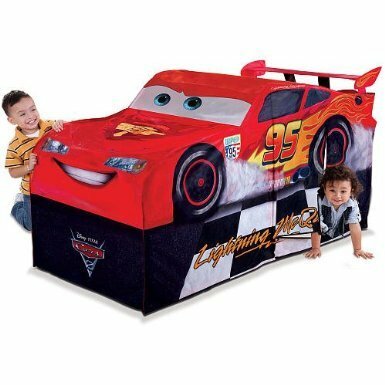 Cars Lightning McQueen Coolest Vehicle Play Tent for Boys! This is one of the coolest car shaped play tents for boys around! No need to say anything! Coolest Outdoor Cottage Playhouses for Kids!